Many of you know that Woolloomooloo is a hip urban gastropub in Taipei that serves Australian-style lattes and a wonderful variety of Western style entrees and appetisers. But, to me, the best part about Woolloomooloo is the desserts. My most heartfelt love goes to their strawberry tart. It is perfection on a plate. The organic strawberries are ripe, sweet and juicy, and the creamy smooth tart base has just the right hint of tanginess. A perfect afternoon at Woolloomooloo is to have a flat white and a slice of their homemade desserts (in addition to the strawberry tart, there are also temptations such as strawberry cheese coffee cake, tiramisu, lemon cake, salted caramel chocotart, lemon meringue pie and banana cream pie). Basically, it’s not hard to win my heart with a store that makes it possible to buy pencils, reading material, food AND kitchenware! 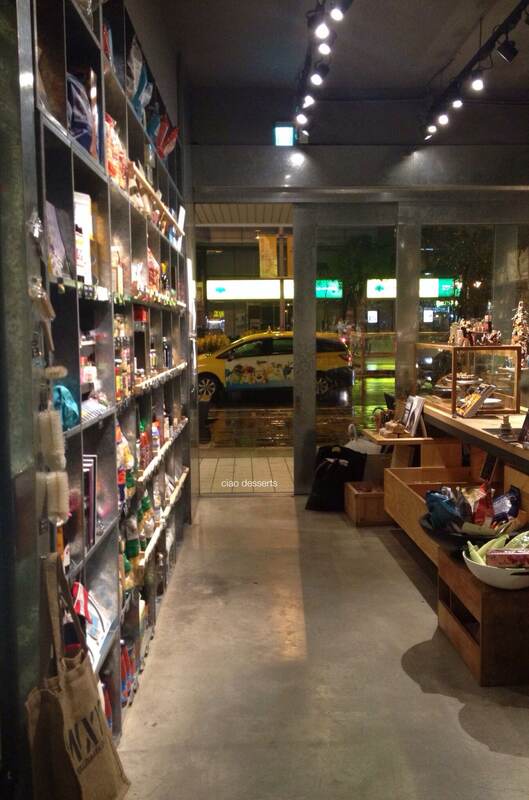 Here you can find copies of dwell, Artichoke and Monocle magazines. Some of my favourite items for sale here are the Duralex coffee cups. I kick myself for not bringing a set back from Melbourne, where I lived for almost four years. I stopped kicking when I saw them for sale at WXY Yakka, and bought a few to use at home. There is also a selection of “keep cups” in various color combinations. I love the white +grey_ yellow combo, and the hot pink one is fun too. Another item that caught my interest were these handmade brushes with wooden handles. I decided since it seems likely that I will remain a “servant-less cook” (a quote from one of my favorite movies Julie & Julia) I better look for some other alternative forms of help in my kitchen. Namely, in the form of this dapper looking pot brush. 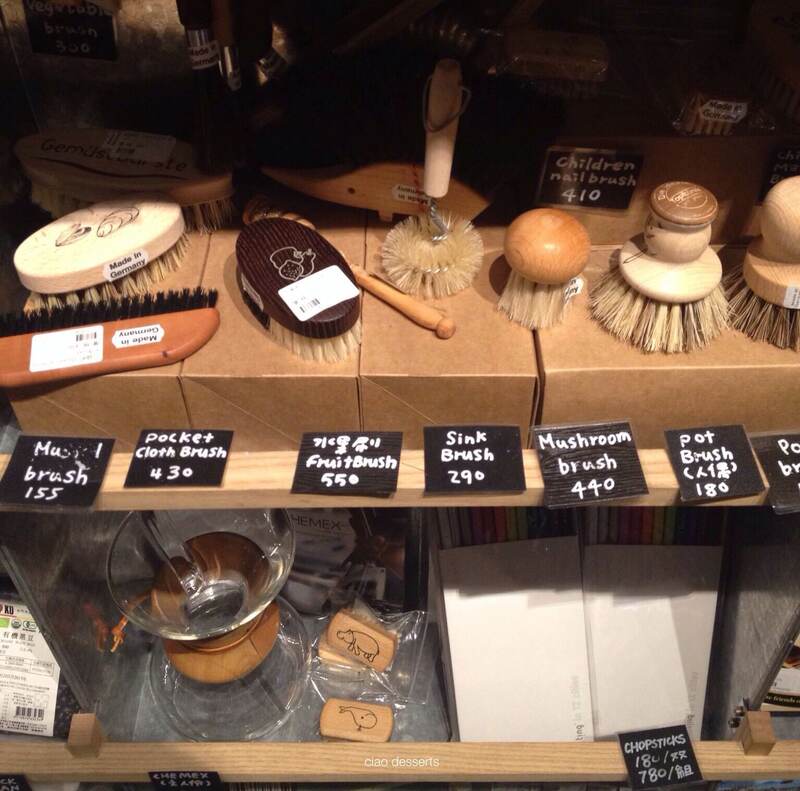 There are also fruit, mushroom and sink brushes, which I would also enjoy having on staff. Organic vanilla extract and pods are also available here, this is an item that is usually hard to find in Taipei. Another brilliant find is Toby’s Estate’s coffee beans and drinking chocolate. As soon as I finish the hot chocolate I have in my kitchen, I will be here to buy their Ghana Red Drinking Chocolate. 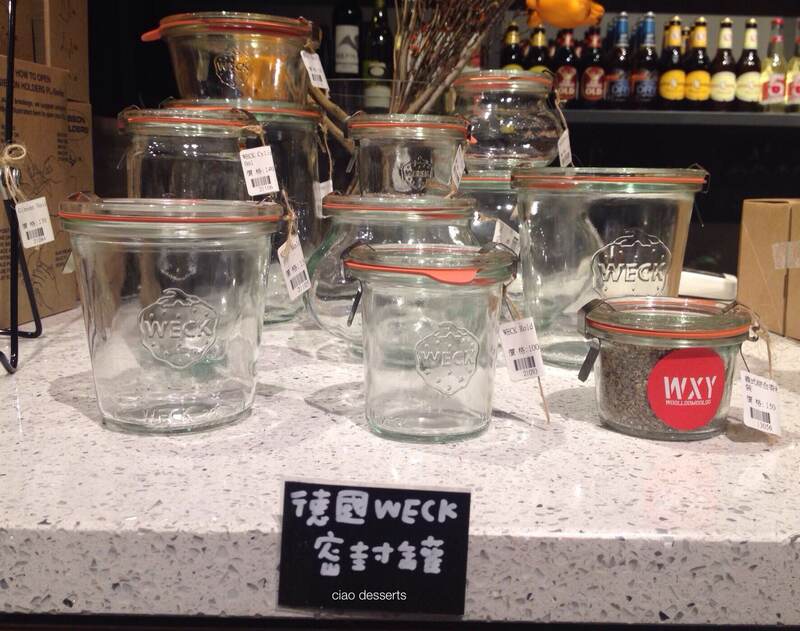 I’m starting to notice Weck Jars, from Germany popping up in various little shops are Taipei. These would come in handy if you are preserving vegetables~ my grandma makes her own kimchee and other assorted pickles this time of year, so I think this would make a useful gift for her. Also, my friends at Plain use the tall skinny jars to store their washi tapes, which of course is genius. I usually never think to use steel shelves in my own living environments, because I think it looks cold and a tiny bit severe, but after noticing how WXY Yakka combines the steel with wood and selected splashes of color, I may be convinced otherwise. I also enjoy their idea of using magnetic pushpins to hang up some of their smaller merchandise, like these cleaning brushes with wool bristles. To round off my visit, there are also a selection of pies available for takeaway. You can either buy by the slice, or order ahead of time if you would like a whole cake. It’s come in handy quite a few times. Especially since it’s stew season and sometimes I get a little absentminded when a pot of something is simmering away. I find that this brush works a lot better than traditional steel wool. The bristles are just stiff enough to really cut through the burned bits. I added a bit of baking soda to help the process along, and the combination really made the whole procedure less tedious. It seems funny to start the post with photos and descriptions of all that glorious merchandise from WXY Yakka, and end with a picture of my old stainless steel pot. 😀 So I’ll leave you with some photos of these colorful jars of preserved apricots and cherries ,and these quirky cloth flags(?) I saw on one of the bottom shelves in the store. Please note: this is not a sponsored post. I paid for all items consumed with my own money. 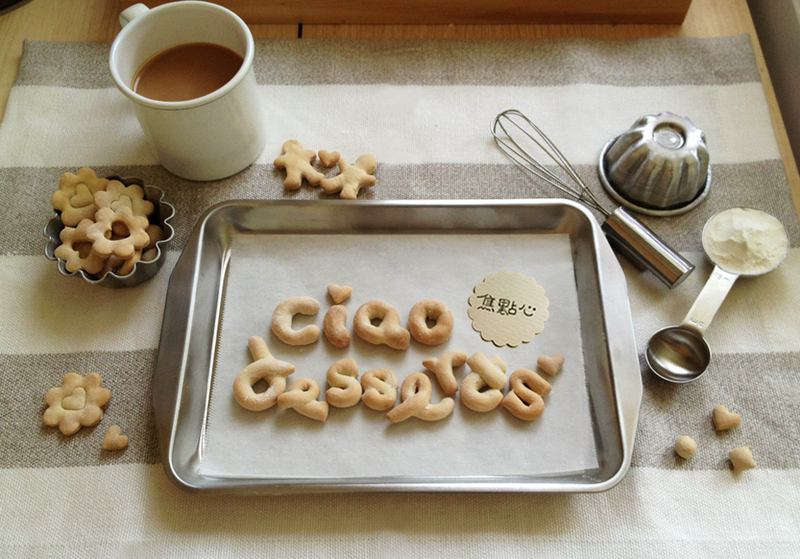 This entry was posted in Uncategorized and tagged Australia, cheesecake, coffee, coffee cups, desserts, dinnerware, epicurean, fabric, home, ingredient, ingredients, kitchenware, mugs, provisions, shop, travel, vanilla, Woolloomooloo, WXY Yakka. Bookmark the permalink.